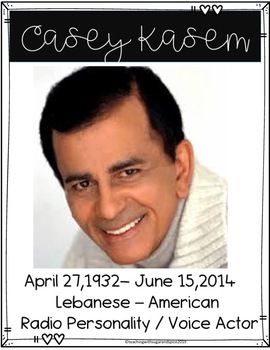 Did you know that April is Arab American Heritage Month? Well, if you didn't you will love this resource. I love including cultures from all over the world and during reading block that is the time that I can. I use our time in Reading to include lots of various topics that reflected my students in some ways, their background knowledge and expose them to other topics they have not looked into before. This Informational Reading Passage Packet can be used with the teacher, with a partner or independently. 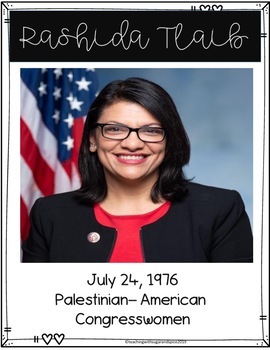 This resource was created after not being able to find much information about Arab Americans and their contributions to American society, So I decided to create a product that showcases their success and contributions. 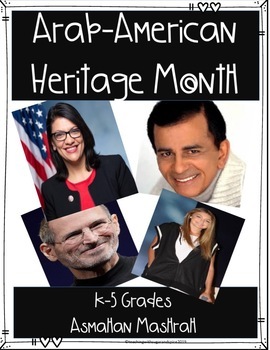 The product includes 8 informational posters on 8 different Arab-Americans and an informational passage on What is Arab American Heritage Month. This is a LOW PREP just print , staple and go.